Galabina Kamenova is a former Cirque du Soleil artist and 6 times national gymnastics champion of Bulgaria. Some of her other achievements include European bronze medal in trampoline and a black belt in judo from Osaka, Japan. Galabina also worked for Universal Studios Japan as a stunt performer, dancer, and actress. She has lived and visited over 35 different countries around the world. 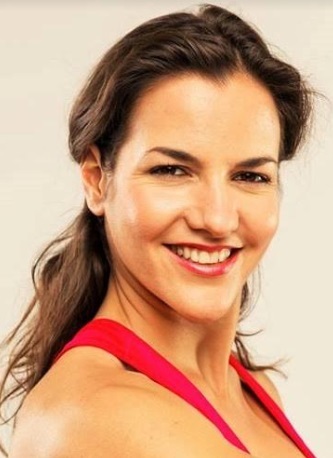 Galabina now lives in Los Angeles and is the owner of Super Body - a company that provides private fitness training and on-site fitness and yoga classes to different companies. Her various talents, education, and experience in the world of professional sports performing arts and fitness sets her apart and makes her an exceptional expert in the health and fitness industry. She regularly gives speeches and educates people of all ages on a variety of topics like nutrition, healthy exercising, and lifestyle. In my personal life I think I am best at giving love and attention to the people around me. In my professional career I think I am good at understanding that every one of my clients and people I work wis different and to meet them where they are. Beginners or professional athletes I try to give them the best workout for their level and daily state of mind. Since I remember myself I have always believed in myself and put a lot of everyday effort towards the goals that I wanted to achieve. I have never been afraid to face my fears and see if I am big enough to overcome them. Some I overcame some I still try to. My business goals now are related to expanding our clients. My company Super body is located in Los Angeles and provides fitness and yoga classes to different companies at their work space. We also offer private personal or yoga trainers who visit clients at their homes. In my personal life the biggest success is my 12 years marriage with my amazing husband. And in my professional life is being an artist at one of Cirque du Soleil’s touring shows called “Saltimbanco”. Other things I am proud of are 6 times national gymnastics champion of Bulgaria, European bronze medalist, Black belt in judo, former artist at Universal Studios Japan. Most challenging moment in my life is moving to live in America. I came from a totally different background and lifestyle and learning to live in Los Angeles was something that took a lot of time and effort. I don’t have a personal mantra but I always try to remind myself to appreciate what I have because it’s temporary and to not be afraid from anything life throws on me. In today’s life we keep focusing on career, ambitions etc. and I think we start to forget about somethings very beautiful called having a pure good heart. I admire people who are simple, pure and good in nature. My mom, my dad and my husband, many of my friends and my private clients are people like this. I feel so lucky being around them. I have been in 37 different countries. The world is beautiful and absolutely amazing. My favorite place though is a small town in Bulgaria called Yakoruda. It’s where my grandfather still lives. There people and life there is much slower and much simpler. The nature is absolutely amazing. I can live without anything but something that I use daily is phone and a car. I am taking violin lessons :) I love the sound of the violin. To me it sounds like a cry from another world.